Linda Jean Lassiter age 63 of Greenbrier, passed away on December 2, 2018. She was born on May 14, 1955 to the late Oscar Lee and Joyce Webb in Nashville, TN. She was described as a loving mom and Ninna. She loved cruising to Mexico and Jamaica with her family. On Sundays you could find her watching NASCAR but even more fun for her was watching family members race. She will forever be remembered as a fun, loving and caring friend to all. 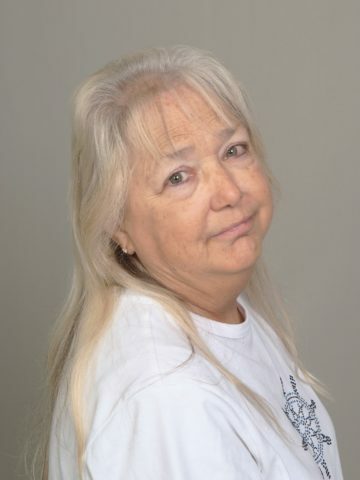 In addition to her parents, Linda is preceded in death by her brothers, Billy Joe Webb and Oscar Lee Webb, Jr.
She is survived by her sons, Lyman Leroy Lassiter, David Brandon Lassiter, Steven McKinley (Leighann Kiel); brothers, Donold Wayne (Tammy S.) Webb, James Dennis (Patty) Webb, Tina (Wayne) Meadows, and Larry E. (Kim) Spalding; 9 grandchildren and a host of nieces and nephews. A Life Celebration will be held on Wednesday, December 5, 2018 at 1pm. Burial will follow at Mayes Cemetery with Dylan Lassiter, Thomas “Bubba" Meadows, Michael Meadows, Donold Webb, Jr., James Webb, Jr., Amanda Meadows, Donny Webb, and David Lassiter serving as pallbearers. The family will receive friends on Tuesday, December 4th from 4-8pm then again on Wednesday from 11am until the time of service. Oh my god I’m so sorry for your loss she was a sweet lady and friend may she rest in peace. I am so sorry for your loss Lyman, David, and Steven. My thoughts and prayers are with you and the family. I am honored to have been able to call her my friend. I find peace in knowing she is with her mom and dad again and they are rejoicing up in HEAVEN. I am gonna miss mine and her phone conversations especially the ones about how much she loved her kids and grandkids. RIP FRIEND AND FLY HIGH. I will miss You. Linda, If I knew you were leaving a week after we talked on the phone, we would have talked longer. Don’t forget to save me a seat! I’m sooo sorry for your loss. My heart aces to hear this news but also rejoice with her being in a higher ground with the good lord above. She is at peace and one day we will see her again. She was such an awesome person and I cherish the fun and laughter I got to share with her. She is in our hearts and prayers all over from here in Georgia, Texas, Indiana, and Washington. If you guys need anything please don’t hesitate to ask.